In this episode we meet new author Ryanne Strong. We talk about her writing career and the many other aspects of it including illustration and crafts. Ryanne is one of the authors on our new upcoming anthology. “My Peculiar Family II. The Holiday Edition ‘(working title). 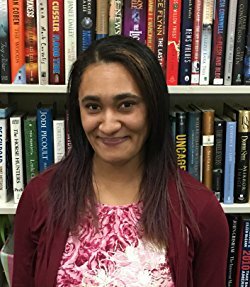 We get the opportunity to speak with her about what its like for a new writer trying to sharpen her craft and her working in various writers groups, some very helpful, others not as much.We also discus her works that were included in ‘Tricks and Treats’. It’s a fun time to learn about our new anthology and our newest author. The Klingons On ‘Star Trek: Discovery’ Look So Different Because….